Buttercream or Swiss Meringue Buttercream - Vanilla, Cookies and Cream, Peanut Butter, Nutella, Honeycomb, Salted Caramel, Toblerone, Snickers, Caramel, Chocolate etc. Other - Jam, Lemon Curd, Fresh Fruit (seasonal) etc. 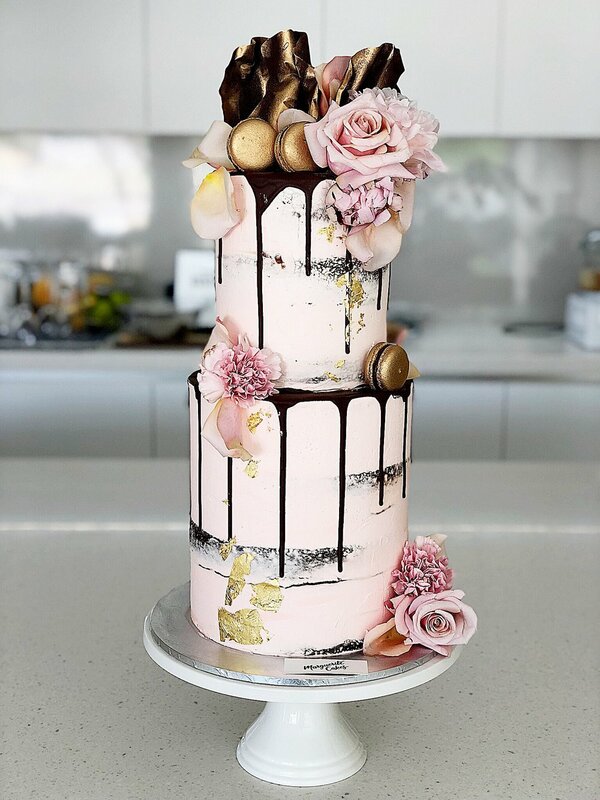 Choose your decorations - chocolate drip, hand-crafted chocolate sail, meringue kisses, chocolate shards, fresh flowers (non-edible), caramel popcorn, macarons, torched meringue, chocolate bars, fresh fruit (seasonal), gold leaf etc.